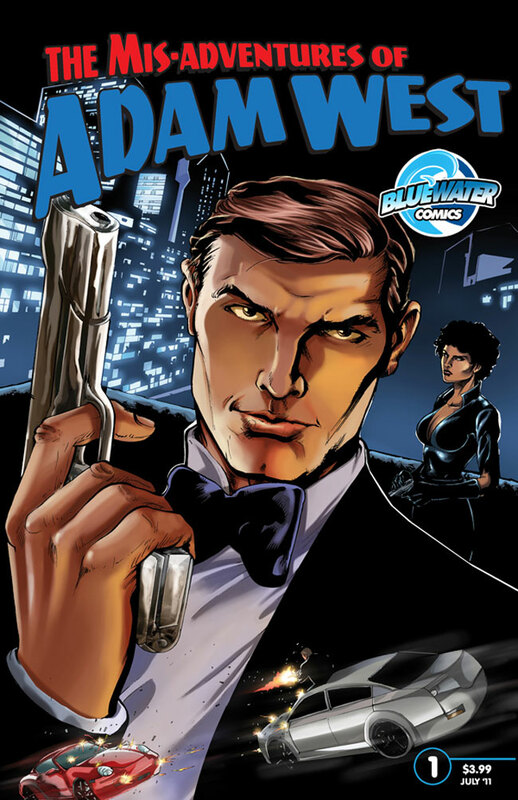 Brought back from relative obscurity by his vocal cameos on “Family Guy”, Adam West, the former 60’s TV Batman, has been given his own comic book. Is this comic a fun, campy romp? Take the jump to find out. WARNING! This book has not yet been released. 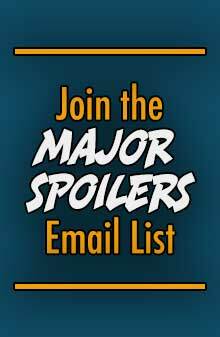 So SPOILERS may be ahead! Previously, in The Mis-Adventures of Adam West: Nothing, this is the first issue. Disillusioned of how Hollywood has become, Adam West formerly television’s only live action Batman, accidentally becomes entangled in a mystical plot involving an amulet, that makes him the man he wants to be. But this transformation comes with a bountiful dose of danger. In the end, can Adam West handle it? I was expecting Adam to be spouting “Chum” a lot, but he didn’t utter it once in this issue. From the bland cover, I really didn’t expect much from this comic. Why even try to depict the ’60s Batman costume, that has no ears, or symbol – it was kind of pointless. While this comic book offers three covers, the one that really looks the best is the third cover by the artist Lipe. Even though the first cover is not-remarkable, that didn’t deter my curiosity for what lay beneath it. The story was not what I expected at all. It made me really empathize with Adam West, something that surprised me. He turns down work because the characters he would portray are not real heroes. Heroes don’t beat up prostitutes to get information, or blow up buildings to make a point. Adam recognizes that those actions send a message, even subconsciously, that doing those things is okay as long as you are the “good guy”. For West, this is clearly not okay. The script by Reed Lackey actually had some meat to it. 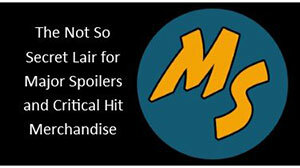 It wasn’t all a character puff piece, an ego booster, where a celebrity attaches their name to a comic just in the off chance of it getting optioned for a movie. I could actually buy Adam West saying and doing these things, especially his monologues that are brushed off by a uninterested public. There is a scene that seems to be straight out of “Family Guy”, but I don’t know if it’s art imitating life, life imitating art, or art imitating art. Whatever it was, it gave me a chuckle. Aged Adam West didn’t look like the Adam West I know. 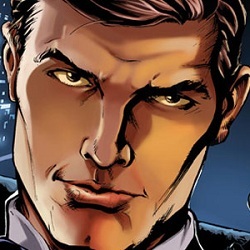 Russell Dauterman just couldn’t capture the visage of the person I have seen, but happily so, the younger Adam West did look pretty dang close to how he looked in the swinging ’60s. The style of the artwork was quite appropriate, and for being pencils that have been colored, it works really well in order to set the tone. The non-inked pencils keeps the book frantic, which at first seemed a bit awkward when the aged Adam West is navel gazing after getting kicked in the proverbial gut by his agent. But once he is mysteriously rejuvenated, that frantic nature really keeps things moving. The frantic pacing is very fitting for the James Bond-esque story Adam West finds himself caught up in. I have seen many comic books that have celebrities of different caliber attached to them. Whether it’s Tyrese Gibson, Samuel L. Jackson, or Alley Baggett, most of the time I wouldn’t touch them even if I needed kindling for a fire. But The Mis-Adventures of Adam West seems to break that mold of soulless celebrity heralded comics. Those comics that pander to some producer, or a gullible fan base that take their celebrity idol’s endorsement, and run with it. No questions asked. This comic offers a pretty decent story, an artist that for the most part is able to deliver the visual substance needed to make this comic work, and a protagonist that is hard not to like. 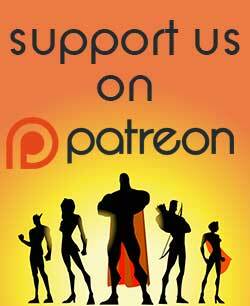 I have to say you should check out The Mis-Adventures of Adam West if you are a fan of his fictional(or is it) portrayal on “Family Guy”. 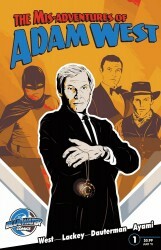 In closing, The Mis-Adventures of Adam West #1 receives 3 Stars, out of 5.